Kiwi Cash for Cars is the leading wrecker in Christchurch that gets you the most value for your wrecked, damaged, or accident car. 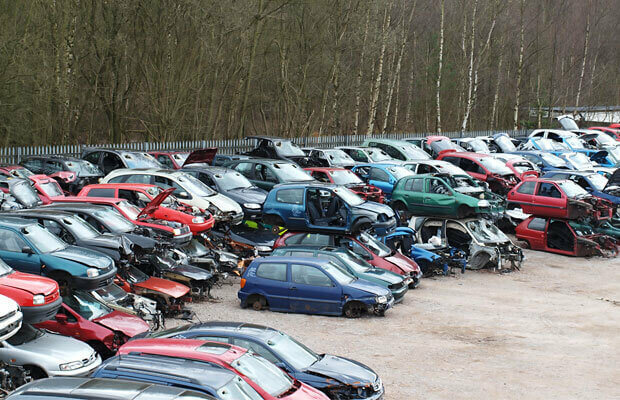 Our expert wreckers & top notch yard allows us to wreck & recycle nearly 100 percent of cars. Contact us for an optimal way to sell your damaged, wrecked, or accident car. Buy Wrecked, Damaged & Accident Cars of Any Condition – Whether your car is in perfect condition under the hood and has a wrecked body, or there are a few parts that need to be replaced, leaving that car inoperable, we’ll buy it. We buy wrecked, damaged, & accident cars of all conditions, including those at the end of their lives. Free Car Wrecking – Our wrecking is more than pulling parts. We get optimal value from cars that are in disposal condition with our expertise in the wrecking and recycling industry. We have own wrecking yard in Christchurch that has the equipment and tools to wreck, and then recycle cars to their fullest. Free Wrecked, Damaged, & Accident Car Removals – Your removal is always compliments of Kiwi Cash for Cars. We are your car removal company in Christchurch that provides our customers selling their cars to us with quick and convenient removals anywhere in town. Free Paperwork – While we will require the title or scrap certificate for your car, we provide all the necessary legal paperwork so that the deal is legal. While in some cases we can accept the registration for the car, we prefer its title as no other documentation is necessary when the title is provided. We Pay Cash for Wrecked, Damaged, & Accident Cars – Our services are not limited to buying scrap, damaged, and accident cars, but also in paying up to $8,999 cash for cars of all makes & conditions. Our customers don’t have to wait to get their cash payment in their hands. We pay on the spot when we arrive to buy & remove their car. Kiwi Cash for Cars is a removal company in Christchurch that provides you the best way to sell your cars. Fast cash, prompt & convenient removals, free wrecking and recycling, and courteous services, all under one roof. and all other brands, You name it we buy it. Contact us over the phone or online. We will require the make, model, year, and condition of your car to provide a quote. When a car owner accepts our Cash for Wrecked Cars quote, they will then be asked for a time convenient for them and for us to arrive to buy & remove their car. With four simple steps, your wrecked, damaged, or accident car is sold & removed, leaving instant cash in your hand! For more information on our car removal services, wrecking, or to obtain a quick cash quote up to $8,999 give us a call at the number below. Quotes are also provided through our “Get a Quote” form at the top right of this page.